WordPress Admin Menu: Re-ordering Submenu Items WordPress creates the top-level menu and then creates a submenu item under the top-level menu that links to the same page. You may want to change that. 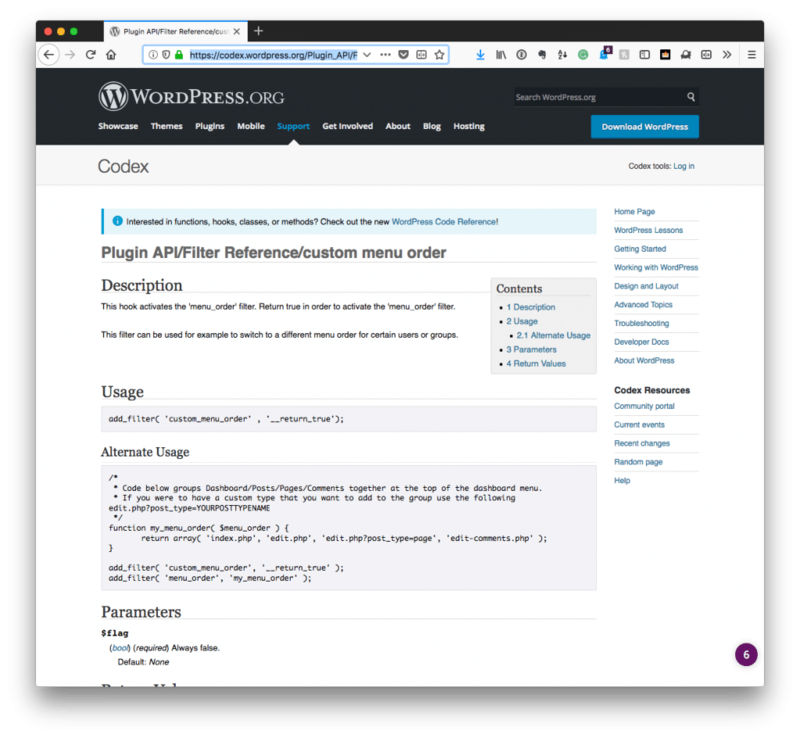 One of the things about working with the WordPress menu API (that is add_menu_page, add_submenu_page, and the like) is that it doesn’t make it easy to reorder the submenu items. Sure, for certain things such as taxonomies or things like that, you can just change the order in which they are registered. 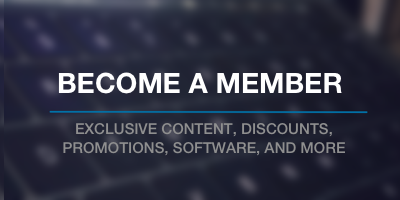 But let’s say that you have a WordPress admin menu and then a few submenu pages under that particular menu. 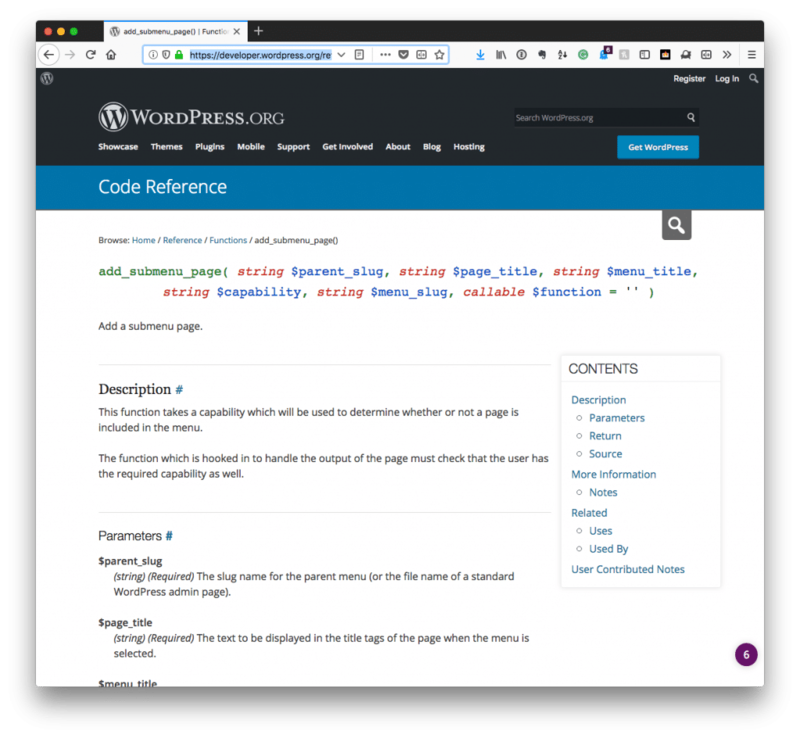 By default, WordPress creates the top-level menu, and then it immediately creates a submenu item under the top-level menu that links to the same page. In many cases, this may be ideal. In some cases, though, you may want to change that. Why not make the first menu item the Settings and the second menu item the actual API Tools? Of course, when the settings have no been set, it’s helpful to also display a message in the main API Tools menu that the user should need to click over to the Settings page to enter their settings. But that’s beyond the scope of this post. For now, here’s a way to manage re-ordering the menu from the server-side. First the code, then the explanation. Generally speaking, I’m using this in the context of a namespaced object, but for this post, I’m relegating it to a function that exists in a namespace. I create an array, $newSubmenu, and then swap the items and assign the new submenu to the existing submenu identified by the key. There are a few comments – perhaps even problems (or at least serious considerations) – with this approach. Namely, the code expects to know precisely the key we’re looking to work with. In some cases, this is fine, but if you’re looking to modify a menu for which you don’t know the key (like acme-api-tools), then you’re going to need to alter this. Next, this also assumes there are only two menu items to swap. It’s easy enough in the case above, but if there were more, then you’d likely need a function to deal with moving things around and returning the new array.